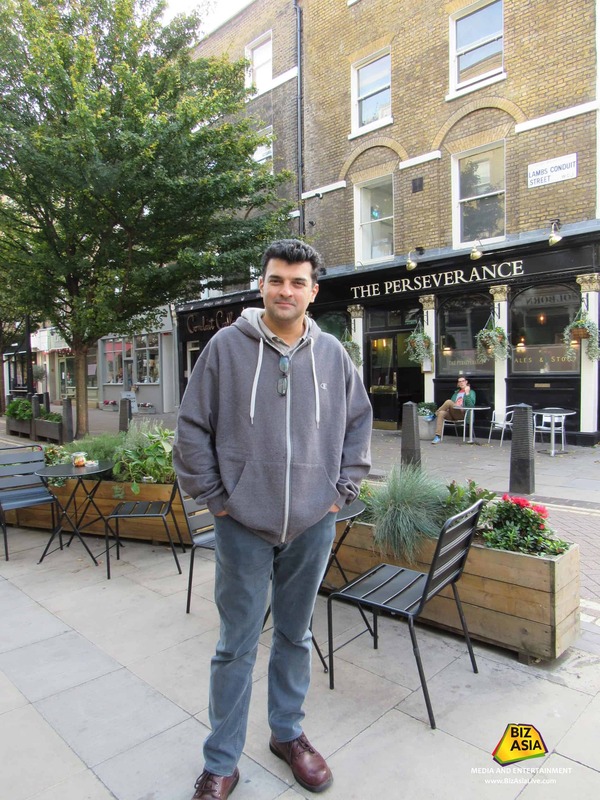 The forthcoming Priyanka Chopra, Farhan Khan and Zaira Wasim starrer, directed by Shonali Bose, kicked off its second schedule in London at the tale end of last week. With the working title of ‘The Sky is Pink’, the film’s subject is the life of motivational speaker Aisha Chaudhary. 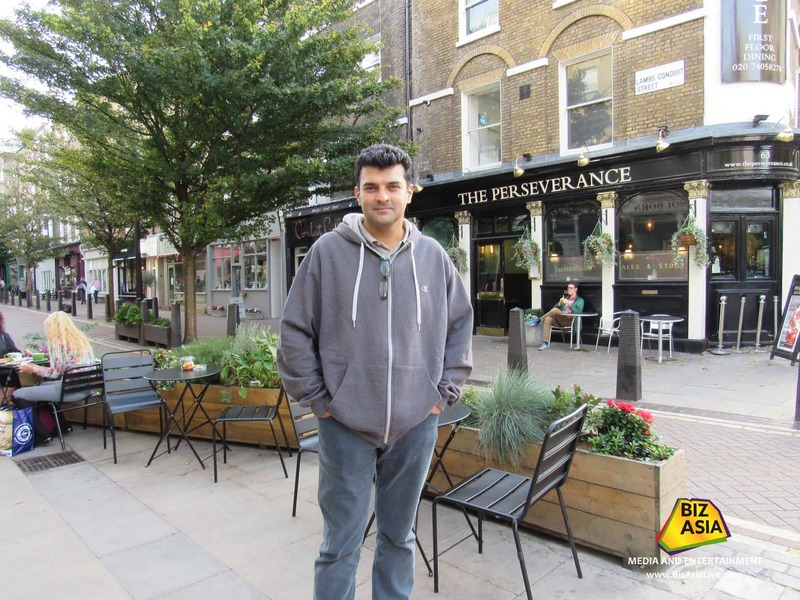 BizAsiaLive.com met up with the film’s producer Siddharth Roy Kapur on the sets of the film in the British capital on the second day of the shoot (Saturday 13th October). Has the film got a confirmed title? It’s tentatively called ‘The Sky Is Pink’ at this point in time, but we’re working on a Hindi movie so we are searching for a Hindi title. But we like the working title because it relates to a particular scene in the film, that is very evocative and brings to life why it’s tentatively called ‘The Sky Is Pink’, but obviously we can’t call it that. Biopics are always controversial when it comes to reflecting real events. How do you ensure that your biopics reflect a true story? That’s a good question. There are some biopics that tend to be controversial because the person’s life has been controversial. But a film like ‘The Sky Is Pink’… I mean this is a family wanting to tell the story of someone they’ve loved and lost. And there isn’t any controversy linked to it so it’s more about us being authentic to their experience, while obviously dramatising it for the screen. And the family has been on board each step of the way. They do tend to be some movie which have an element of controversy, and with those ones what we try to do is be as authentic and factual as we can possibly be, while fictionalising only those parts for dramatic purpose, which are not changing the facts of the case in any way. As a producer what are the biggest challenges you have faced while in the business and what makes you keep going? Well, being a producer you have to face a hell of a lot of challenges, but I think that’s also why we’re doing the job in the first place and we enjoy those challenges. So I think a producer’s challenges can be all the way from picking the right story, to casting correctly, to ensuring production happens smoothly to ensuring post-production goes the way it should. Ensuring your marketing and distribution happens as you like it too, so at any step can be many hurdles and those are the challenges a producer usually needs to encounter. But I think if you look at it as challenges then you won’t enjoy the job very much, so it’s important to look at it as something that is part of why you wanted to do the job in the first place, which is to make great movies and put them out there and this all comes with the territory. Do you feel like you grow as a producer and a director because of these challenges? Yes, I think you do. I think every experience teaches you new lessons, which doesn’t mean there won’t be some new ones you learn in the next one, but at least you can learn from the mistakes of the past and realise how to keep on improving your craft. But the key thing for a producer is to be able to think on your feet, to be able to be resourceful and to be able to be non-compromising about the vision that you wanted to back in the first place. You are co-producing this film with Priyanka Chopra and Ronnie Screwvala. How have you managed to merge your ideas together so that they work for this film? There are two things. I mean we’ve worked together on many movies in the past, from ‘Kaminey’ to ‘Barfi’ to ‘Fashion’, so there has been a great working relationship that we’ve shared all through the years. The second thing is that we all really loved the script, so there really wasn’t that much of meeting of minds to happen other than that we know each other really well, we love working together and we loved the scripts, so that’s where it all started. Who was the pioneer behind the script? That really is the director and the writer Shonali Bose, who found out about Aisha Chaudhary, her struggle resonated with her, the life that she lived resonated with her. She contacted her parents Aditi and Naren (Chaudhary) asked them if they would like to her story and really wrote this beautiful script that bowled us all over, so it really started with her. What was the reason you wanted to produce this story on motivational speaker Aisha Chaudhary? When I saw Shonali’s last film ‘Margarita, With A Straw’, after the screening, I was not able to talk for a while because it moved me very deeply, and I sent her a long message afterwards telling her how much I loved it and how I would love for us to work together. She said “Great I’m writing a script and I’ll send it your way”, and she did. I read the script in one sitting and loved it and said we must do it and that’s how it all started. Why are the cast members such a good fit? We couldn’t have asked for a better cast, from Priyanka, Farhan to Zaira the fit the characters beautifully. Aditi and Naren were this couple who just battled on through all the challenges that life threw at them and Priyanka and Farhan reacted both instinctively when they read the parts and said they would love to do it. For the role of Aisha Chaudhary, we couldn’t have asked for anyone better than Zaira Wasim to play that it, because she’s such a wonderful actress and again she also reacted very emotionally to the material and therefore we just think that we’ve lucked out with cast we’ve managed to get for the film. Chopra & Akhtar have been seen as each other’s love interests is ‘Dil Dhadakne Do’ (2015). How do you think audiences will warm to them in The Sky is Pink? I am very, very positive that they will come across wonderfully. In ‘Dil Dhadakne Do’, despite the fact it was an ensemble piece and therefore theirs was one of their relationships that it covered the audience really enjoyed their chemistry in that film. The two of them have worked together many times before when he (Farhan) has been in the avatar of a director and she’s (Priyanka) been active in his films as well so there’s a great comfort level between them as well. They know each other really well, they both respect each other as actors and as artists and that I think will reflect on screen. How do you think the #MeToo movement has started to shake up the Indian film industry? I think it’s a much needed exercise and calling out of perpetrators of sexual harassment and sexual assault, I think there’s no doubt about that. What I do believe is that it’s not just the film industry where this is occurring, it’s happening in all different forms, whether it’s a media business or whether it’s a larger industry. The film industry probably gets reported more because there are celebrities involved. Having said that, it’s something to be applauded and commended and I do hope that all those who faced and had to deal with harassment and had to deal with assault, come out and tell their stories. You are part of the committee focused on making workplaces safer from this kind of harassment. Apart from encouraging & supporting people to speak up, how else will you remain focused on helping organisation’s tackle this? I think the most important thing at Producers Guild we can do is to educate and enable our members to implement what is already the law which is to have an internal complaints committees within their companies where their employees can come forward and make a complaint if there is a case of sexual harassment that occurs in the workplace. Our workplaces tend not to be just offices, but also film sets, on location, etc. and therefore what we are going to be doing is number one is to educate our members about what is the law, in case they haven’t already implemented it within their work groups. And the second really important thing for us is to be able to bring specialised agencies in who will be holding workshops for our members on a frequent basis for the coming weeks and months to be able to guide them on exactly how to implement this at their workplaces, to make sure sexual harassment does not occur and if it does, it is dealt with swiftly and decisively. What do you believe is the biggest challenge of film production today? I think the biggest challenge for today is what makes for a theatrical experience and that’s what I think most content creators are grappling with because we realise with today with the number of top platforms that exist, like Netfilx to Amazon to hundreds of others, people have their choice at their fingertips. And to be able to drag them out of their homes, buy a movie ticket and sit in the darkened auditorium for two-three hours, when they could be very well be sitting in the comfort of their living room and pausing and going out, coming back and watching the film, you need to give them something truly cinematic. While that on one side can be your big ticket blockbuster-superhero or period dramas, on the other hand they can be really high-concept movies that cut through the social consciousness of that point in time and reach out to people and tell them you’ve got to watch this right now! The challenge really comes with movies that are sort of middle of the road that are slice-of-life or not high concept also not breathtakingly cinematic, which we should keep making and to be able to bite the bullet and say perhaps this is not a theatrical experience and we’re OK to take it to an OTD platform. I think those are the questions the creative people are grappling with. The UK audiences have been known to be treated slightly differently by film distributors, etc. Many say we’re stuck in a time warp somewhat. What is your view? There is nothing wrong with that! That has just been the South Asian immigrant experience in the UK so who is to say that is right or wrong. 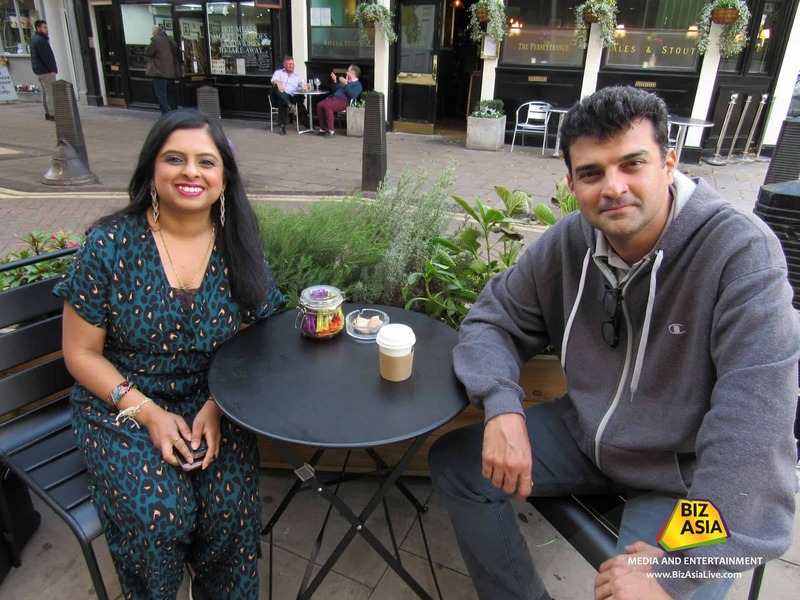 So I wouldn’t go with that you’re stuck in a time warp, all I would say is that the South Asian audiences here in the UK really want a taste of back home, but the back home when they left it, rather than the back home as it exists today. And there is nothing wrong with getting your dose of nostalgia from cinema coming out of India, I think it’s for content creators to realise therefore what kind of films works for this audience and which kind don’t. I think the mantra is to never judge your audience, but cater to them. How long are you staying here to shoot? We’re here until next week and on track so far, but it’s only day two [laughs]. We are heading to India, we have a long schedule around 20 days in November and then we go back to Mumbai in December and then we’ve got a few days in the Andamans in January, so that’s the plan! Previous articleDeepika Padukone to start on Meghna Gulzar’s next after honeymoon?